Later this week Rockstar Games will be rolling out a new major update to its Grand Theft Auto Online game, in the form of the GTA Online Further Adventures in Finance and Felony update. That will bring with it a wealth of new gameplay features to enjoy enabling you to build an empire as a CEO. Watch the official launch trailer below to learn more about what you can expect from the latest GTA Online Further Adventures in Finance and Felony update that will be rolling out in a few days time on June 7th, 2016. Ever since you first stepped off that flight to Los Santos, it’s been all about rising up the criminal ranks, accruing wealth in your Maze Bank account, building a reputation, and taking no mess along the way… Now, realize your goal to become the ultimate kingpin of Los Santos and Blaine County. Build an empire as a CEO. Traffic illicit cargo and contraband. Disrupt rival supply chains. Acquire extravagant new vehicles. Open prestigious new offices. Hire an executive assistant. And run the town, one hostile takeover at a time. 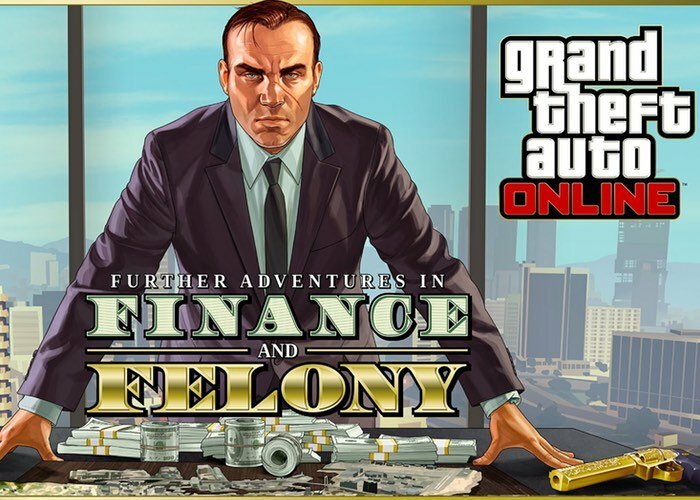 Watch the official trailer above and get ready for GTA Online: Further Adventures in Finance and Felony coming next week Tuesday June 7th.